Are you being accused of a municipal code violation in the city of Burbank? Are you being contacted by city inspectors? Attorney George Kita understands the intricacies of the Burbank municipal code and their impact on local residents. Mr. Kita is also familiar with productive approaches to address Burbank Municipal Code cases, and helps clients formulate comprehensive plans to resolve their situations, as soon as possible. Municipal Code Violation in Burbank? Contact George Kita, now, and find out what options may be available, at 818-536-3630! Each reported violation of the Burbank Municipal Code is investigated by the responsible Code Enforcement department. 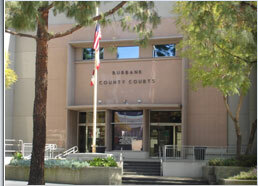 Violations of the Burbank Municipal Code are considered detrimental to the health, safety, welfare, or morals, of the public, and Burbank government agencies take pride in maintaining its reputation as a clean and safe family-friendly city. Violation of any Burbank Municipal Code can result in arrest, fines, restitution, costs of investigation, in addition to expenses of correcting the violations. George Kita is committed to resolving local code violations for clients in the city of Burbank. His experience involving Burbank cases provides you with a unique opportunity to systematically and properly resolve your code violation. Call now, at 818-536-3630, to see how he can help you! *Every Code case is unique; outcomes are based on applicable facts and laws.